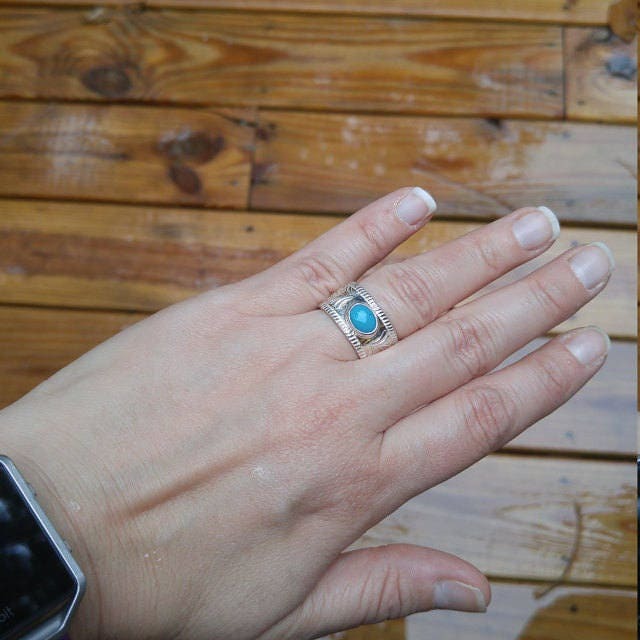 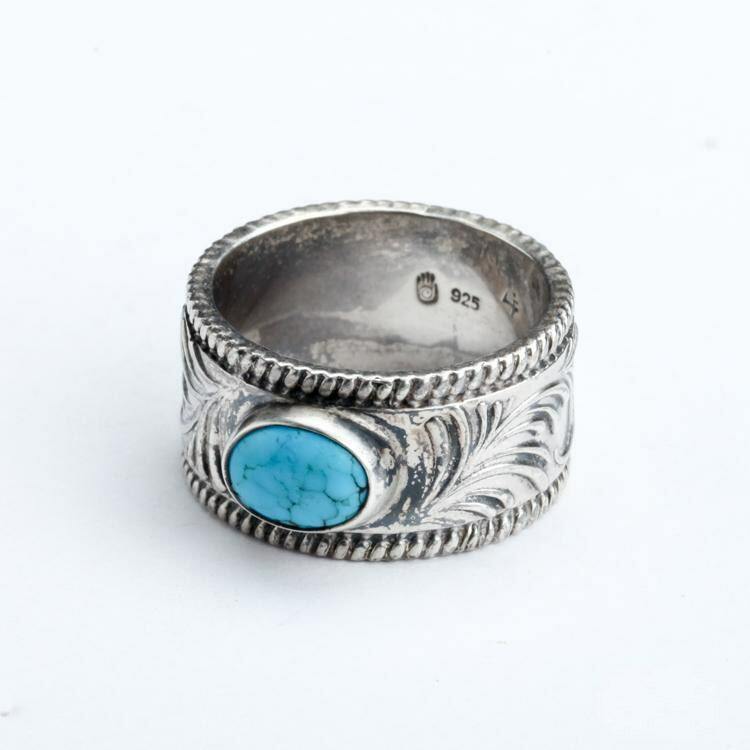 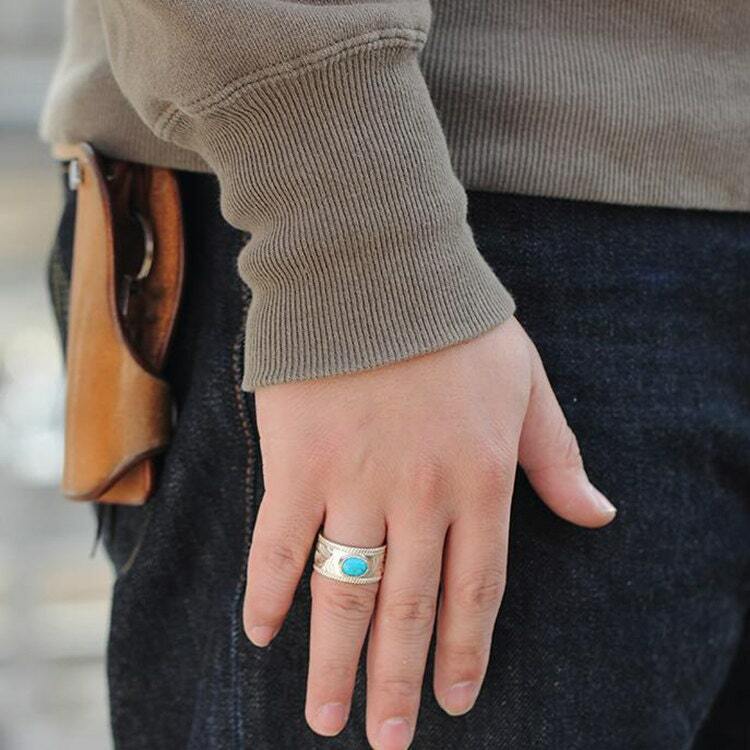 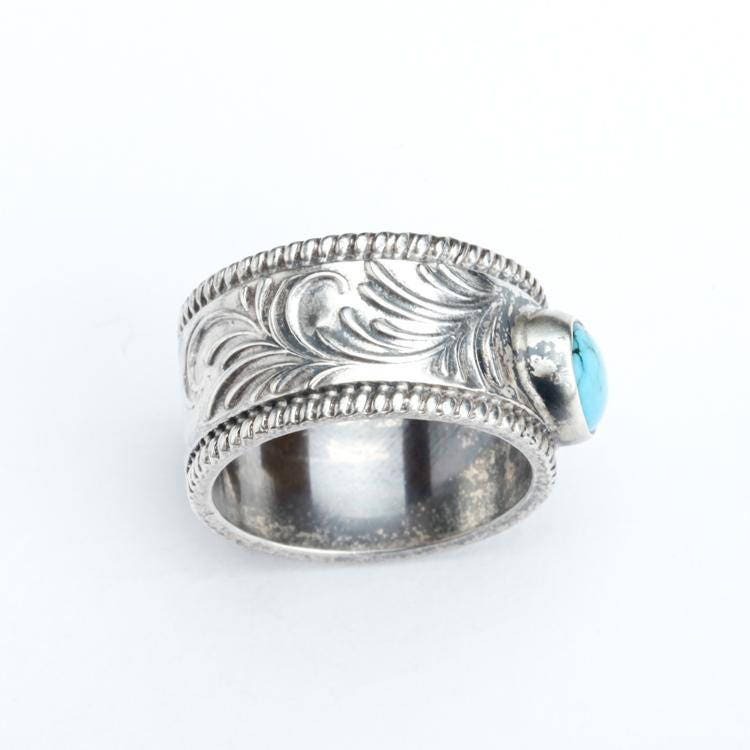 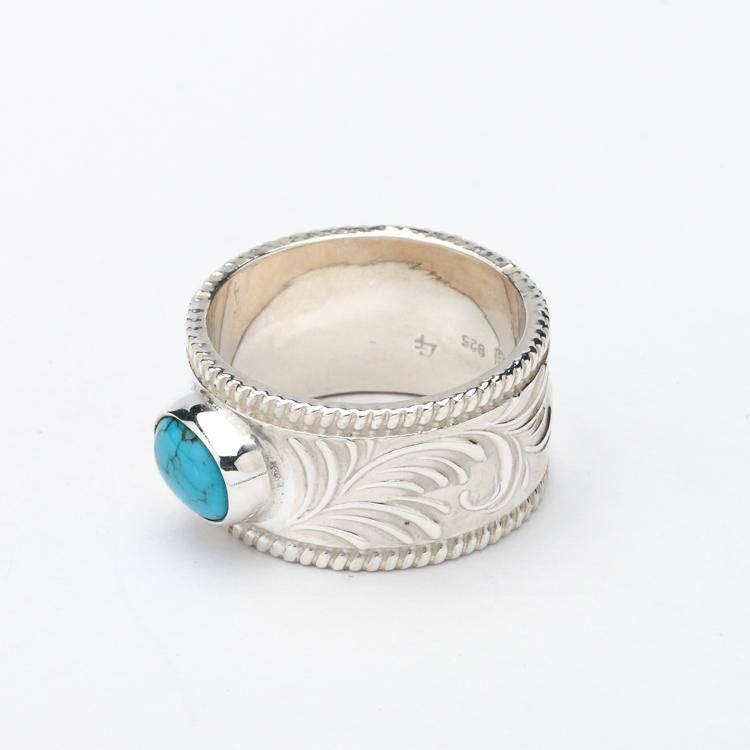 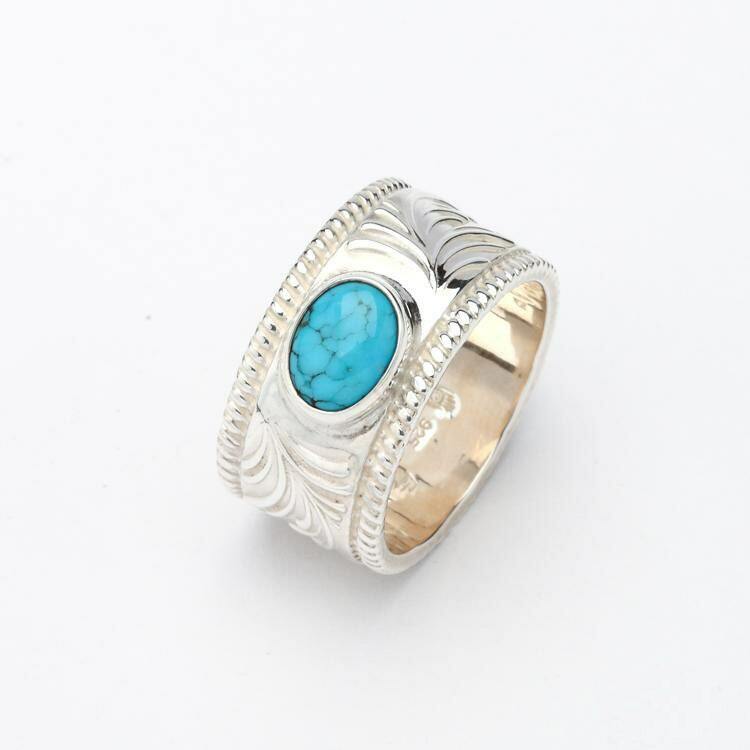 The engraved silver band features a subtle floral pattern with a highlight blue turquoise gemstone. 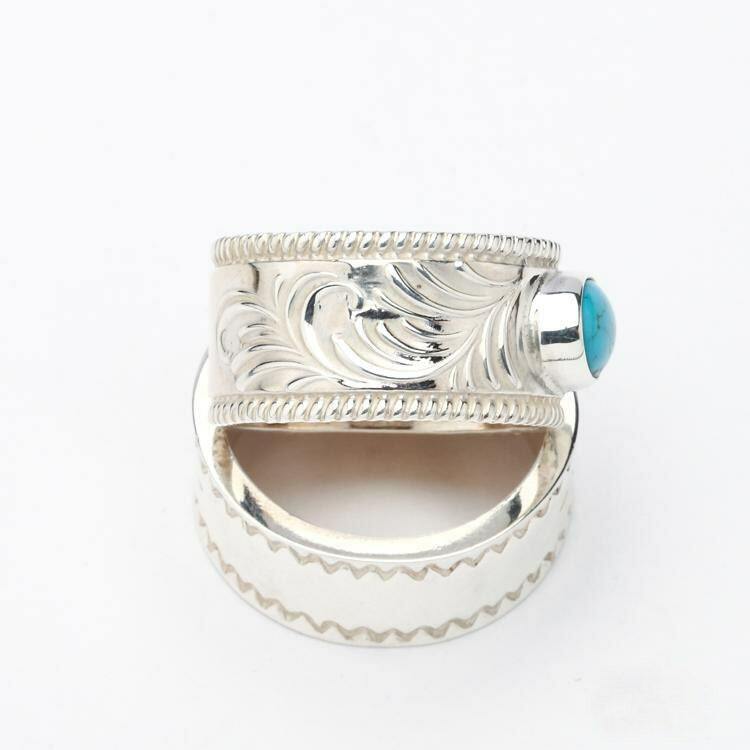 An arabesque pattern covers the entire ring - its swirling design reminiscent of rising surf on the seas, or a gently blowing breeze over the grasslands. 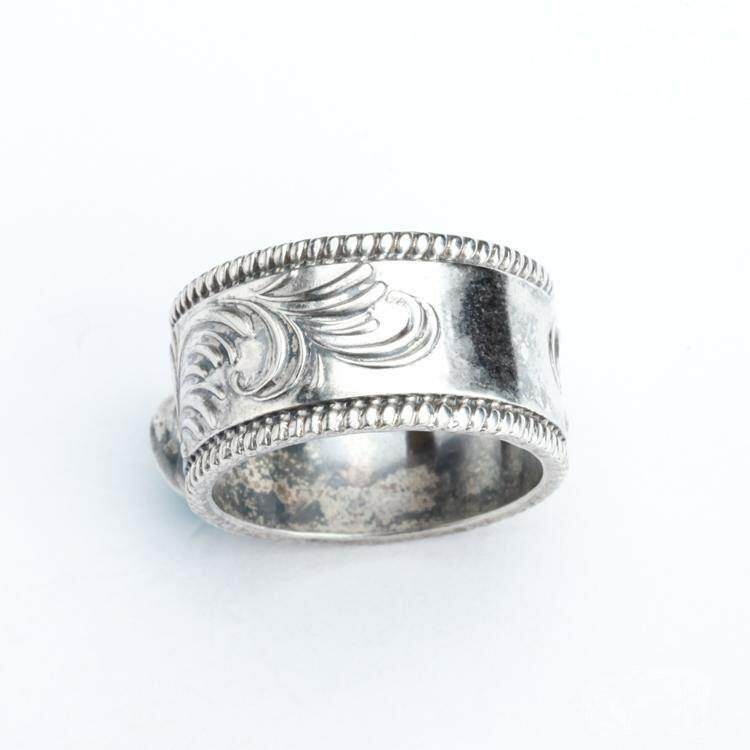 The edge of the ring displays a rope-like twisted wire pattern - defining the ring more clearly.